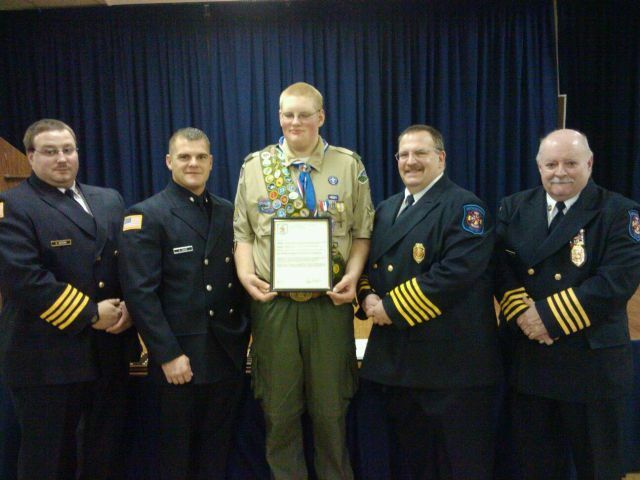 On Sunday, December 5, 2010, - East Allen Township Fire Fighter Jon Buz was honored for attaining the rank of Eagle Scout. A Court of Honor ceremony was conducted to recognize John's outstanding achievement. A number of members of the fire department attended. Pictured from left to right are Assistant Fire Chief Ray Anthony, Fire Fighter Adam Grube, John Buz, Fire Chief Barry Frantz and Fire Marshal John McDevitt. On Friday, October 8, 2010, - The 1st group of 35 youngsters from St. John's Nursery School, and quite a few parents and teachers attended a morning of fire safety education and a lot of fun. The 2nd group from The Wonder Kids Day Care Center attended a late morning session. 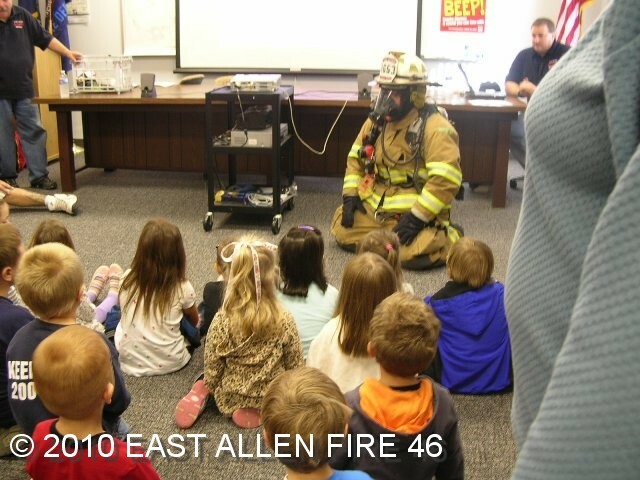 The children watched videos, interacted with a firefighter in full protective gear, toured the fire station and apparatus, witnessed a demonstration of Ladder 4621 in action, and got to squirt a fire hose. Everyone seemed to have a great time -- children, parents and firefighters alike. See additional Photos. 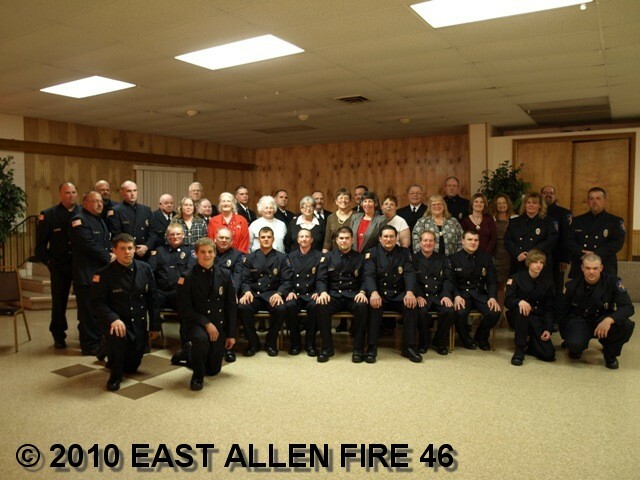 On Tuesday, September 28, 2010 the East Allen Fire Department was expecting to host the Code 3 for a Cure Foundation on their 2010 Mission of Honor and Hope. Instead due to mechanical difficulties, the Code 3 founder Lorenzo Abundiz was forced to stay with us for several days. It has been an honor and privilege to get to know this man and learn about the Code 3 Foundation. Please take a few minutes to visit the Code 3 for a Cure Foundation website, and support them if possible. See additional Photos. On Monday, June 7, 2010, - At 18:48 hours, EAFD was dispatched for a fire in a recycling center with Station 42 (Northampton). Fire 42 requested Ladder 4621 and Tanker 4631. 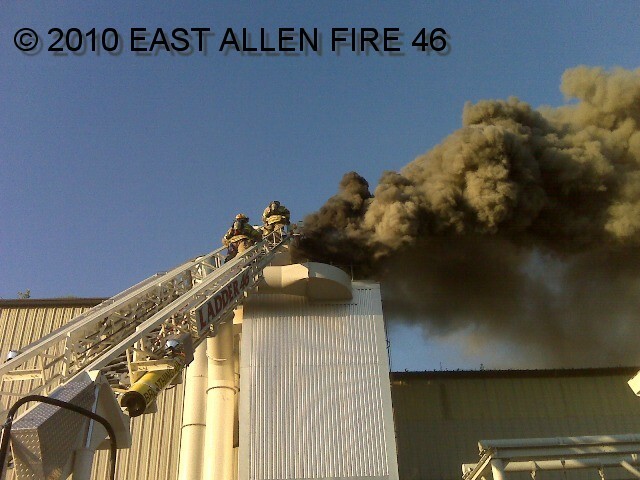 Ladder 4621's master stream was used to extinguish the fire in the filtering system (bag house). The units cleared the scene within 2 hours. The LeBEAM Chamber of Commerce is a consortium of diverse Business enterprises representing the communities of Lehigh Township, Bath, Chapman, Moore Township, and East Allen Township East of Airport Road. They endeavor to establish and maintain a strong economic environment. Their goal is to advance the common interests of the business community in their membership area. The fire department is in the process of replacing current gas meters. 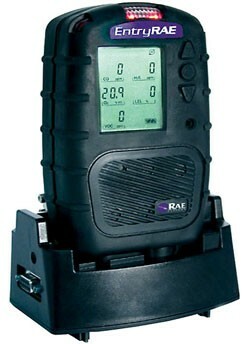 The $500 grant will help fund the purchase of one specialized instrument used to detect dangerous gases in hazardous situations, in addition to protecting the lives of the general public and the firefighters. See News Release. Free smoke alarms are being made available through a program coordinated by the Pennsylvania Fire Commissioner and WFMZ-TV, 69 News. The long-life lithium battery detectors are part of a grant program intended to help low income residents, the elderly, and families with children. WFMZ-TV has dubbed the program, Operation Save a Life. 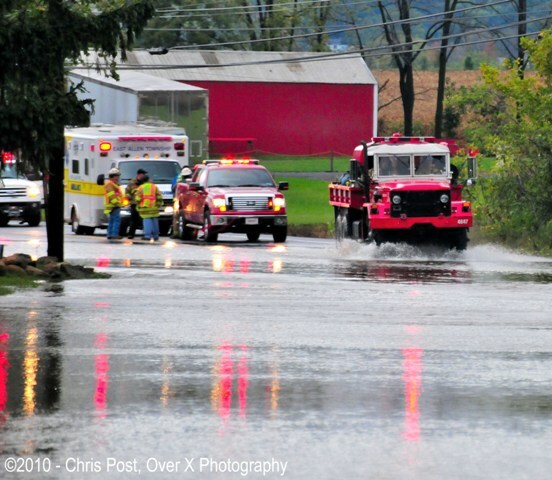 The terms of the grant require local fire departments to physically install the detectors in residents' homes, and the East Allen Township Fire Department has volunteered to take part in this effort. If you are selected to participate in the program, you will be contacted by a representative of the fire department. Please ask for ID before allowing anyone into your home. 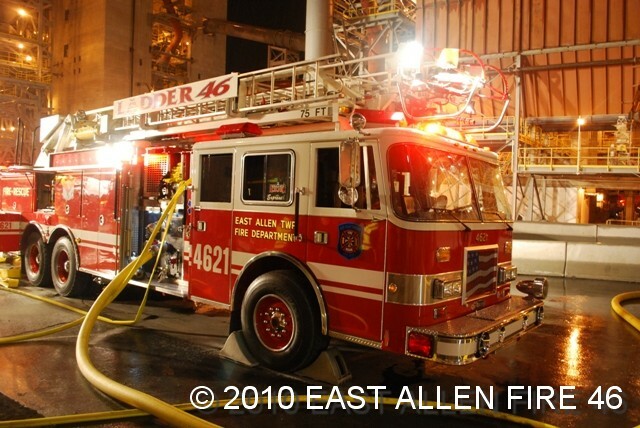 On Saturday, April 24, 2010, - At 22:00 hours, EAFD was dispatched for a structure fire. Fire Chief 4651 went on scene at Keystone Cement and took command. 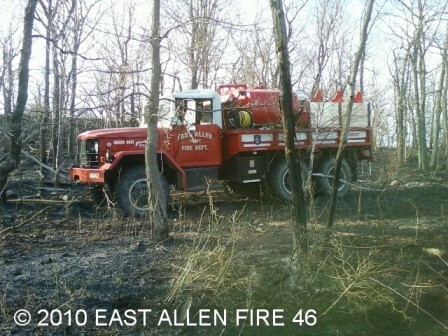 Fire Chief 4651 requested a full Tanker Task Force response. Ladder 4621 arrived the scene and pulled a 1 3/4 attack line into the area of the fire. Engine 4611 set up a draft operation out of a portable pond and fed Ladder 4621. The main ladder was not put into operation. The fire involved a coal elevator and the rubber belting of a coal conveyor. The adjacent coal bunker was spared any significant involvement. There was some equipment damage but no structural damage. No plant personnel or firefighters were injured. See additional Photos. 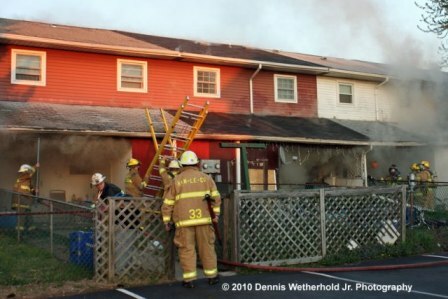 On Saturday, April 10, 2010, At 19:45 hours, EAFD was dispatched to a dwelling fire with Han-Le-Co Station 33. Ladder 4621 was requested and arrived on scene. The crews from Ladder 4621 completed three (3) ventilation holes in the roof. Engine 4611 was also requested to the scene for additional manpower. Crews from Engine 4611 assisted with extinguishment and overhaul. The units cleared the scene within 3 hours. See additional Photos. On Friday, April 9, 2010, an awards ceremony was held to recognize the many educational achievements, years of service milestones, and outstanding performance. 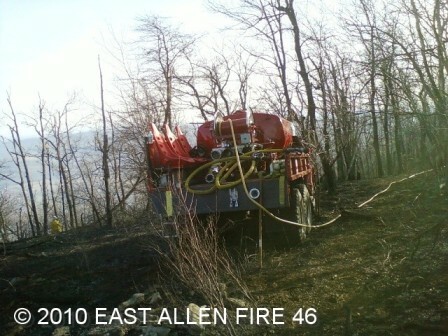 On Friday, March 19, 2010, At 13:00 hours, EAFD was dispatched to a brush and forest fire on the Blue Mountain with Lehigh Twp. Station 47. The units cleared the scene in about 8 hours. The images below show Brush 4647 on top of the mountain. The image to the right shows the truck in action with several lines deployed. See additional Photos. 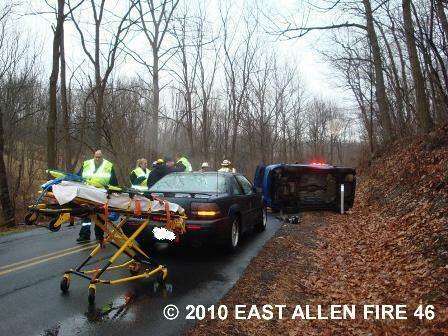 On Sunday, Jan. 24, 2010, At 12:35 hours, EAFD was dispatched for an MVA with entrapment on Hillside Road. 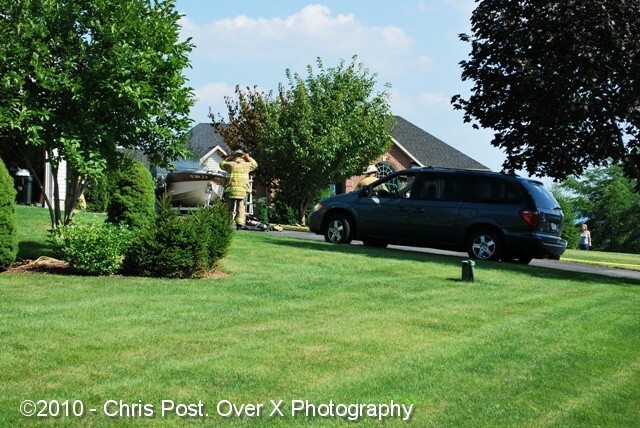 The vehicle was on its side. 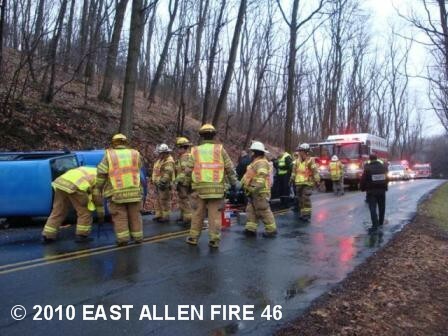 Fire Police 4693 arrived on scene first advising that road conditions were icy/slippery and the patient has been self-extricated resulting in negative entrapment. Fire Chief 4651 arrived on scene and took command. Crews from Rescue 4641 provided a battery disconnect on the vehicle involved, and traffic control. The units cleared the scene within 1 hour.